Online Energy Manager was established in 2007 to respond to the need for efficient energy management and energy cost reduction in industrial processes and commercial buildings. The Company provides innovative solutions using proprietary technology that substantially reduces energy use and thereby contributes to improved user economics and mitigation of global climate impacts. Dilip is an internationally recognized pioneer & entrepreneur with over 40 years of experience in the Alternative Energy and Energy Services Industries. In his career, he has established and operated energy efficiency and renewable energy companies in U.S., India, Czech Republic, and Australia. He also helped establish and served as the COO of Energy Systems Group, now one of the largest energy service companies in the U.S. He has served as an advisor and consultant building business strategies, conducting financial planning, and setting up operations of alternative energy companies in 15+ countries. Dilip holds degrees from the University of Pennsylvania, Cornell University, and IIT Bombay, and has completed the Harvard University Executive Program in Global Climate Change and Economic Development. Former Chairman - Photonix Solar Pvt. Ltd.
Sri is a Mechanical Engineer with over 40 years of experience in the engineering, manufacturing and energy service industries. Has been in the energy services business for the past 26 years focusing on implementation of innovative technology to improve efficiency in commercial and industrial facilities. He has conducted over 600 energy audits in his career. 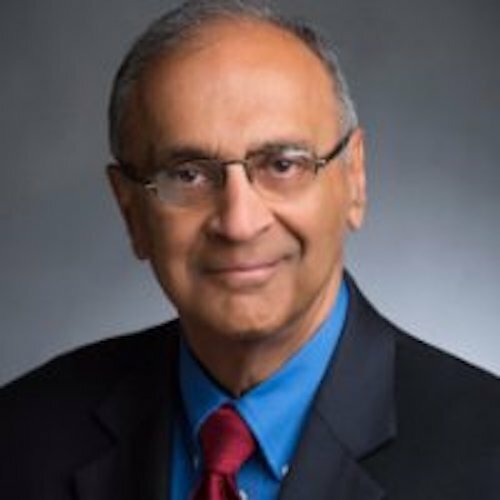 Sri's expertise includes developing unique, cost-effective control strategies for energy savings in cooling systems, air compressors, refrigeration, process heating, large water pumping applications, and other commercial and industrial end-use technologies. In his career, he has worked on industrial and commercial building audits and retrofits in countries across the globe, including Australia, China, Colombia, India, Japan, Korea, Malaysia, Mexico, Singapore, Saudi Arabia, United Arab Emirates & the USA.